Slime, slime everywhere. 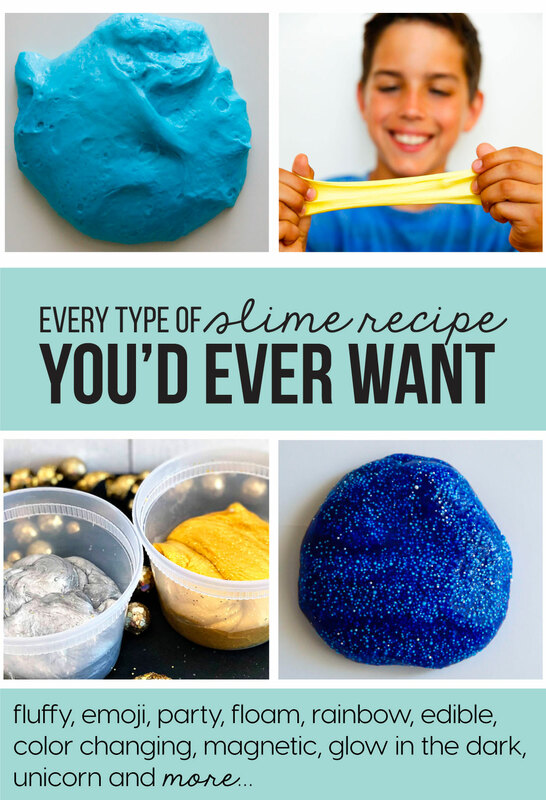 Kids are obsessed with slime these days but parents? Not so much. Because it gets EVERYWHERE. I’m here to help with how to get slime out of carpet… and everything else. 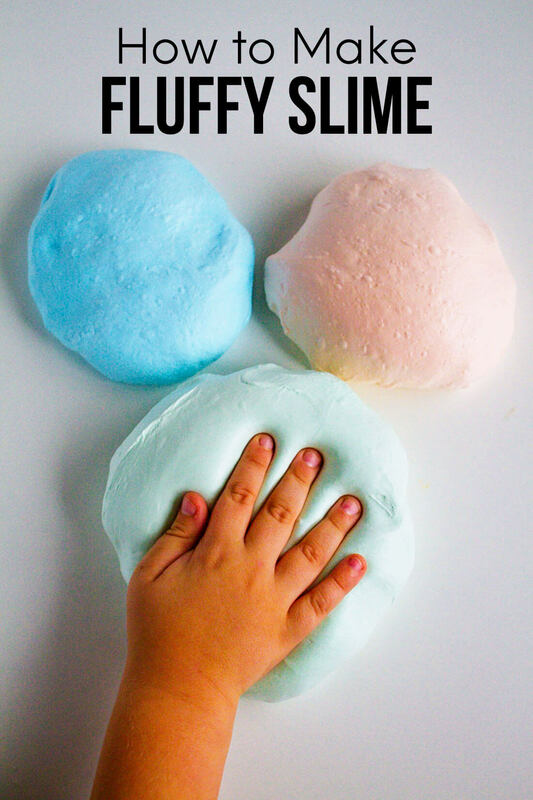 First, your kids learn how to make slime. Fluffy Slime, party slime, floam (which is slime’s cousin ;), emoji slime. And then you end up with a mess in your house, in their hair, on your furniture. I can’t tell you how many Facebook posts and Instagram stories of parents who are sick of their kids getting slime everywhere. I don’t think parents would care about slime so much if it wasn’t getting everywhere, right? Before I tell you how to get it out, might I suggest getting some containers for all kinds of slime. I think that helps not having it everywhere but doesn’t totally solve the problem. These are the containers we have and they are awesome! Before I get to the process of getting slime out of each thing, just know that vinegar is the key to all of this. Plain old white vinegar will get slime out of most everything. It might take some elbow grease and patience, but you can get it out of everything! The easiest way to get slime out of carpet is with warm water and vinegar. Add warm water to a bucket with vinegar. It should be about 2/3 vinegar to 1/3 warm water (just enough to dilute the vinegar). Use a soft brush to loosen the slime up from the carpet. Then use a clean, dry towel to blot it dry. If it doesn’t all come up the first time, repeat the process. Then once dry, vacuum. Pull as much of the slime off of the clothes as possible, set it aside while you fill a sink or bucket with warm water. Pour vinegar onto the remaining slime on clothes and then put it into the warm water. You can then work more on getting any slime residue in the warm water. If it doesn’t fully come off with just vinegar and warm water, you can add dish soap (you can use any kind but Dawn works well) to residue and rub it together. Rinse in the warm water. Back in the day, we had to worry about getting gum stuck in hair. Now it’s dreaded slime that gets stuck and can be a pain to get out. Once again, time to pull out the vinegar. This won’t be pleasant for your child and hopefully he or she will learn not to play with slime closely to their hair! 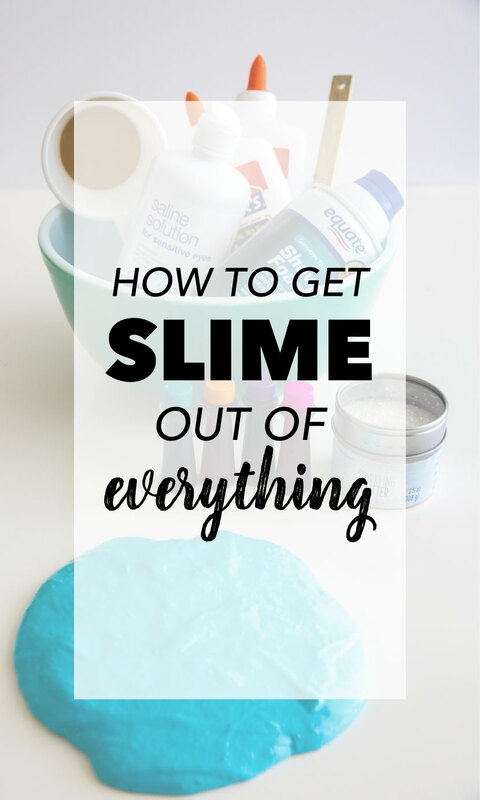 If there is a big clump of slime, try to take out as much as you can without ripping hair out (ouch!). You can either have your child sit with their head over the sink or in the shower but it will take vinegar and warm water yet again. You will need to wash his/her hair with the warm water and vinegar (goggles might help with this!). It might take a few tries to get it out. Or even several tries, depending on how badly they have wound it in their hair. Once it’s mostly out, you can put conditioner in and use a comb to get any remaining slime strands. You can then dry off the hair and brush it through to make sure you got all of it out! While getting slime out of the carpet, hair, clothes, and more isn’t fun…the idea that kids are playing, exploring, and not on their devices is awesome!! I think it’s worth it (though I have big kids and I’m sure that helps). 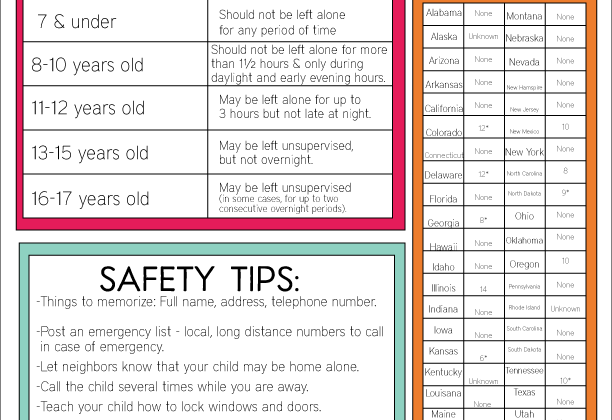 Have your kids gotten slime stuck where they shouldn’t? What worked for you? How do you get slime out of curtains/drapes? What about a leather couch? ?